Douglas Bentley - Bancorp Financial Services Inc.
Doug is currently the CEO and Chairman of Bancorp Financial Services Inc. He joined Bancorp in 2001 and had various responsibilities including loan origination, loan underwriting, loan administration, loan management and fund management. He was appointed Chief Operating Officer in 2005 and then President and CEO from April 2011 to March 2018. 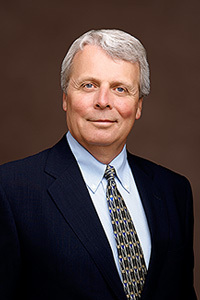 Doug has a law degree from the University of British Columbia and practiced law from 1980 to 1984. Between 1984 and 1988, he worked with a Canadian trust company and was responsible for a varied loan portfolio in B.C. and Arizona. In 1988, he joined a major Canadian real estate pension advisory firm where he held senior positions, established and managed a top performing lending fund and was president from 1995 to 1997, when the company was sold. From 1998 until 2001, he successfully operated his own real estate development and lending business. Doug is a long-standing member of real estate organizations including the Urban Development Institute and the Mortgage Investment Association of B.C. Doug Bentley is licensed under the Mortgage Brokers Act of BC with Bancorp Financial Services Inc.